Do you remember that really cool band you used to like? They started off playing local shows, but they had a quick rise to success. One day they just stopped touring, and for a while, you didn’t hear anything from or about them. Now you find out they’re recording a new album, and they’re going to tour again! You want to be at that first show, so you buy your tickets and make the drive to go see them. When they take the stage though, you start to realize that things aren’t what they used to be. That spark of greatness is still there, but their playing is a little rough. That’s the best way to describe Rock Band 4, the foundation is still solid, but it’s a bit unpolished. The fourth of the Rock Band mainline sequels ought to be the biggest and best game in the series. In a lot of ways though, it’s taking several steps back from the high point of the franchise: Rock Band 3. The game has been rebuilt for the new generation of consoles, so some of this is expected. 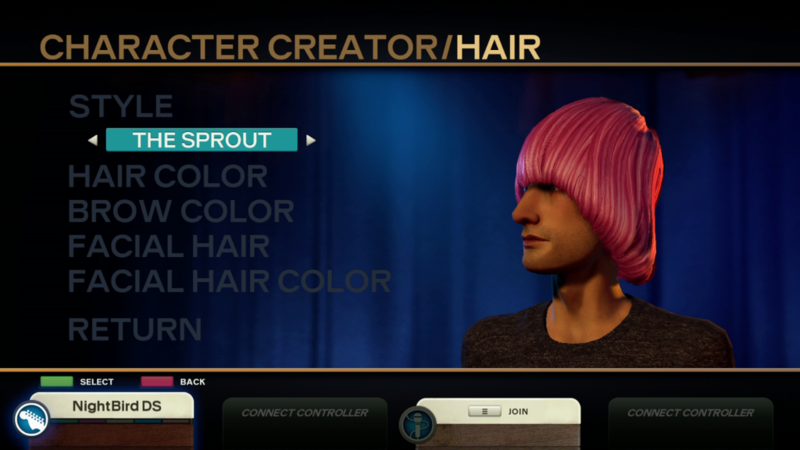 The trouble is, there are some very basic features that we’ve come to expect in a rhythm game that are not present in Rock Band 4. For instance, there’s no dedicated practice mode. That’s a big one to leave out, but it’s indicative of the fact that Harmonix are building Rock Band 4 with a smaller team, and to do what they intend to do with the game, some cuts have to be made. 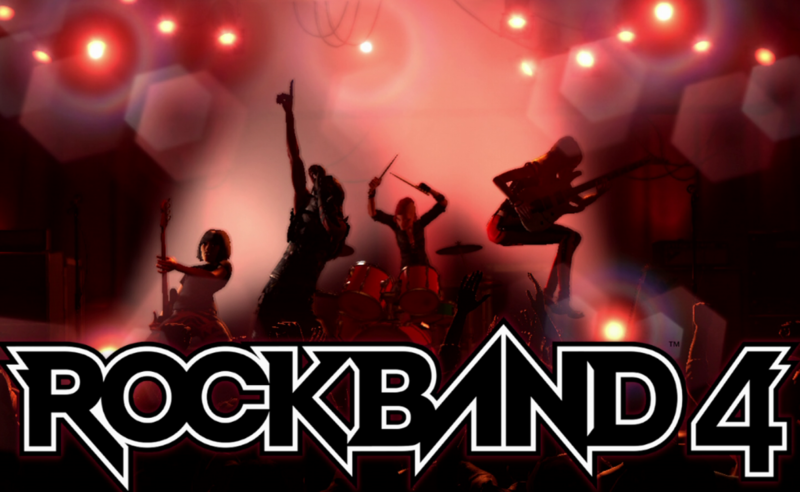 That is, initially, because they have been clear to everyone that Rock Band 4 will be a constantly evolving platform. 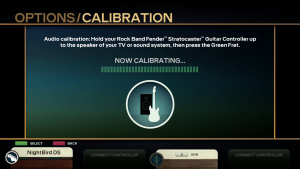 Getting your audio and video in sync is relatively easy with the automatic calibration tool. 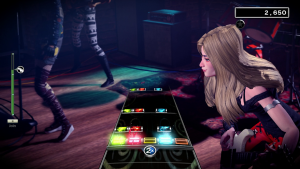 With that in mind, Rock Band 4’s cuts fall into two categories: unpopular or irrelevant features, and features that would be nice to have but time constraints prevent them from being included at launch. The first category sees keyboard parts, pro guitar parts, and the entirety of the Rock Band Network (RBN) songs being left behind. That last one is a bit of a sore spot for many, and we can only hope that RBN songs will eventually return in some form. The second category includes things like the aforementioned Practice mode, competitive and cooperative multiplayer modes, online play, song trials, challenge modes, and others. Many of these features will be returning to Rock Band 4 over the course of the next few years, so that is something to look forwards to. So why were so many cuts made? Couldn’t they have just ported Rock Band 3 over and called it a day? Technically speaking, they could have done exactly that, but it’s unclear what sort of legal issues would have needed to be sorted through to continue using the RB3 codebase. The result is that they chose to rebuild the game with a new engine and tailor it for the now current-gen consoles. That development time didn’t just go towards the game though, it also went towards the game’s biggest feature. You dont have a lot of choice in how your band members will look initially. 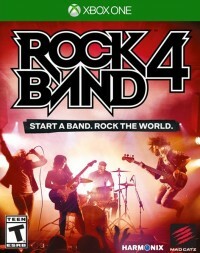 Since Rock Band has been a long running franchise, there is a wealth of downloadable content available for it. A sizable portion of that content simply carries over from the previous games to the new one. 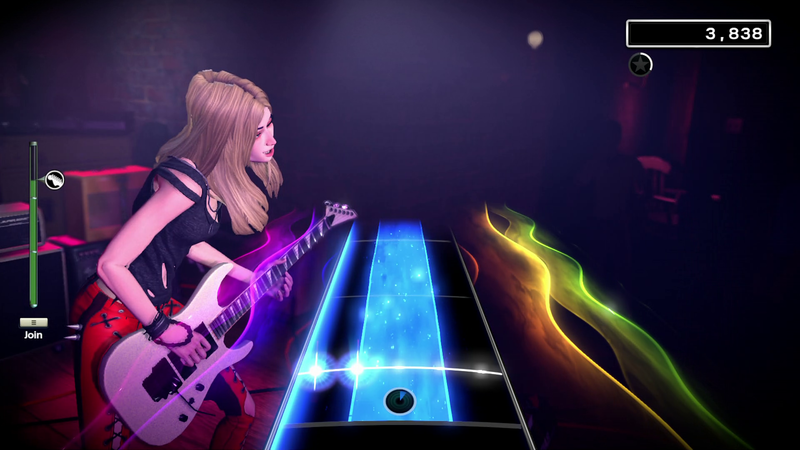 If you downloaded a lot of songs for Rock Band 3, you’ll be able to play many of them in Rock Band 4. Some songs have expired licenses, so they will likely not be made available again. Most of them will simply be redownloadable through the Xbox One or PlayStation Stores. Now here’s where things start to get annoying. There’s no easy way of finding the songs you own other than browsing through the store, clicking on a song and seeing if it prompts you to purchase it or to install it. If you have several hundred songs like I do, expect to spend the whole day finding them all again. It’s not a game breaker, but it is far from the ideal user experience. There’s no indication that you can even redownload the content, so if you weren’t aware of that fact, you might buy the game and never know you could get a good chunk of your library into Rock Band 4. This would also be a fair time to mention that on the Xbox One at least, the store doesn’t work quite as well as you’d expect. You have the ability to browse by song pack or by albums, but those sections are coming up as empty listings, even though the packs and albums themselves can be found by searching the store manually through the dashboard. Isues like this need to be ironed out, and quickly. Once you get into a song, things are very familiar. Another large chunk of songs come in the form of disc exports from previous games. As of now, these are still not available. Signs are pointing to the December update to the game to at least give us some details on how these exported songs will work in the new game. I can only hope that I won’t have to download another 300+ songs one at a time again. When you finally get down to playing the game though, things improve immensely. Rock Band 4 still feels as fun to play as it always did. Once you start to get the hang of the game’s new features, then it gets even better. Freestyle Guitar Solos, Vocals, and Dynamic Drum fills let you go off the rails in a way that hasn’t been possible in a Rock Band game so far. A Freestyle Guitar Solo, for instance, can be very different from the originally-scripted solo, but if you take the time to learn how they really work, you can put together something that is fairly close to what was originally in the song. Granted, you don’t have the freedom that you’d get with a proper stringed instrument, but this is certainly closer than past games have come to letting you really improvise your own material. While the game might be missing modes that its predecessors had, it’s not completely barren. There is the obligatory Quickplay mode, which lets you jump right into a song and play. There is the Play A Show option where you’ll vote on a setlist and play a string of songs in turn. This mode very much benefits from a lot of downloadable content, as it often hints at what song will be next. If you only have the on-disc songs, it will be very easy to figure out exactly what song the game is referring to. With more content, there’s a lot more surprise to it. Finally, there is the Go On Tour mode which serves as the game’s career mode. Harmonix had touted this as being an RPG-like career. It’s more along the lines of a choose-your-own-adventure style story though. Every so often you’ll be asked to make a choice. Do you hire an agent or buy a van? Do you play a charity tour or tour in support of a TV show? The choice is really binary. Either you pick the option that gives you more fans, or the one that gives you better store unlocks and money to purchase those items. It’s not exactly deep, but it is certainly serviceable. The idea behind this mode is a good one though, and if Harmonix were to go back in and expand on it at a later date, it would certainly be welcome. The Freestyle Solos have a bit of a learning curve to them, but are a lot of fun once you get the hang of them. So here we are, at the end of the band’s first show in years. It wasn’t perfect, but things can only go up from here. See you at the next venue! 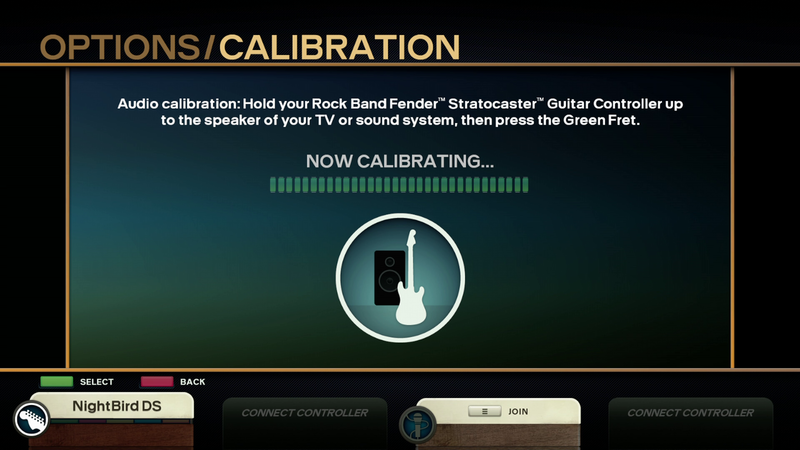 A copy of the Xbox One guitar bundle was purchased by the reviewer at launch.